We Got Married at Own Native Place Man (Dahiwadi). Actually, I Sandeep Shinde live in Mumbai. I came to Know about Buddhist Marriage website JeevanMeet.com Which Works for Educated Grooms/Boys and Brides/Girls in Maharashtra. My Uncle Sunil Shinde of Baramati, Pune advised me to Register online on the Website named JeevanMeet.com. And it's my Luck that i got my Soul mate in Just 15 days of Registration. Thanks ! 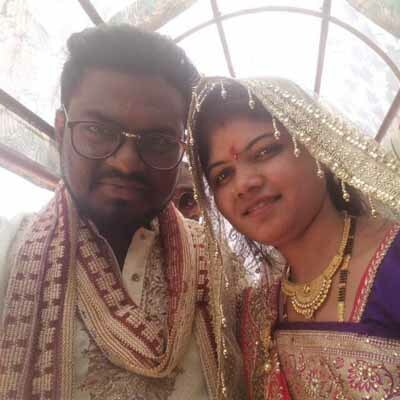 I Prachi Gurav and my Soulmate Deepak Pawar are Thankful to Pratibha Satere Madam, Mahad(Raigad) Franchise of Marriage website JeevanMeet.com which Works for Educated Divorced, Widowed Grooms/Boys and Brides/Girls in Maharashtra. Pratibha Satere Madam also has her own Marriage Consultancy office as Reshimgathi Vadhu Var Suchak Kendra, Mahad(Raigad). We Both were Divorced, Even I have a Charming Daughter. Satere Madam Adviced and Guided us, to achive our Common Goal, of Getting a Understanding Life Partner for Life Time. We Both Belong to Hindu Maratha Caste from Thane City but Basically are from Junnar, Pune. 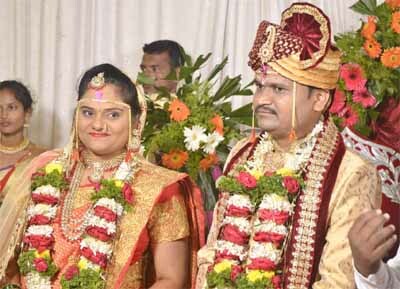 Married at Alephata, Pune through Maratha Marriage website Jeevanmeet.com Which Works for Educated Grooms/Boys and Brides/Girls in Maharashtra. We both are Thankful to Sanjay Deokar for getting our Life Partners. Thanks Again ! 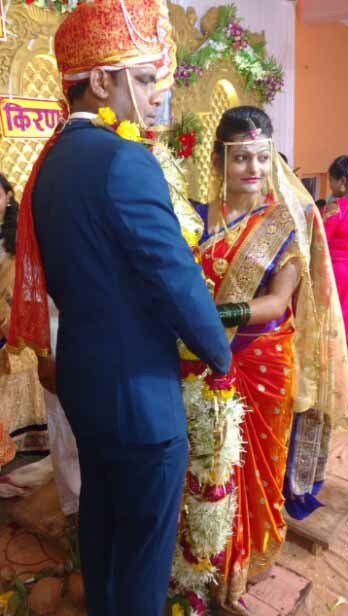 We met each other because of Satere Madam's Marraige Beauro, Madam Adviced and Guided us, to achive our Common Goal, of Getting a Understanding Life Partner for Life Time. 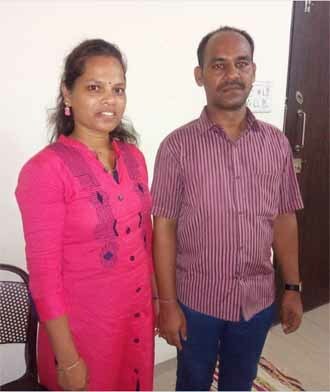 I Prashant Joshi and my wife Rasika Shigvan Both are Thankful to Pratibha Satere Madam, Badlapur (Thane) Franchise of JeevanMeet.com. We Both are from Badlapur and Mahad Locations of Kokan. We Both do Job, Our Parents did Register our Marriage Profiles with Matrimony Francise in Badlapur, which is run by Satere Madam. We Both are Doing Job in Pune. As we belong to Hindu Maratha Caste from Barshi and Pandharpur tehsils of Solapur District. Our Parents Registered our Marriage Profiles as JeevanMeet.com Franchise Locations in Barshi and Pandharpur. We Got Married in Pandharpur on 23rd June 2018. We Both are thankful to Maratha Vadhu Var Suchak Kendra of our Area, Which Works for Educated Grooms/Boys and Brides/Girls in Maharashtra. 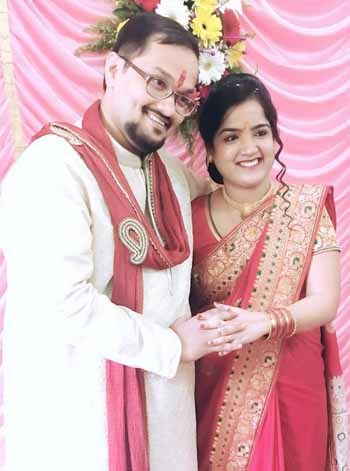 We both are Thankful to Rajendra Bhosale(Pandharpur) and Rahul Taware(Barshi) for getting our Soulmate. 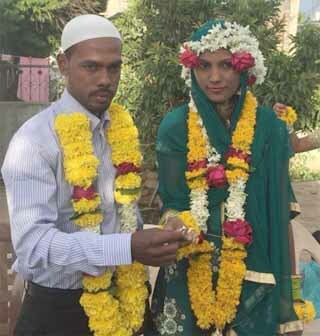 Me and My Wife Belong to Muslim Sunni Comunity from Bhigwan and Indapur Cities of Pune District. Our Marriage Location was Indapur, Pune. Special Efforts where taken By Javid Munde Sahab for Our Marriage through Marriage website Jeevanmeet.com, which has a Good team to Support Muslim Brides and Grooms. 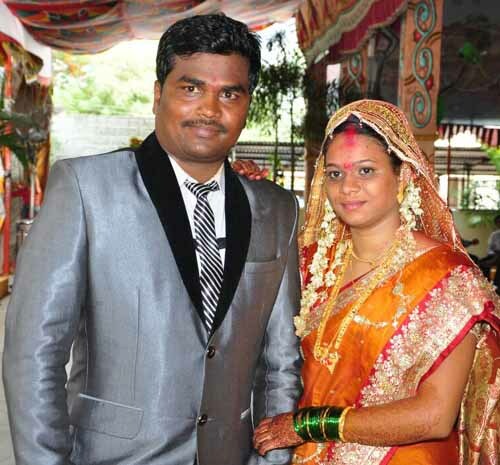 We both are Thankful to Javid Munde Sahab of Indapur / Pune for getting our Soulmate for Lifetime. We Both are from Muslim Sunni Comunity from Pune City and Indapur City. 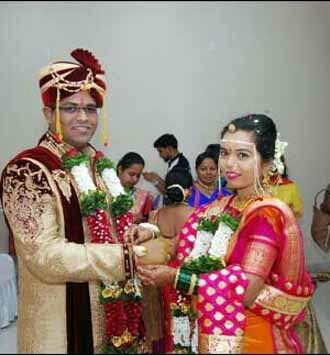 We got Married in Indapur, Pune. 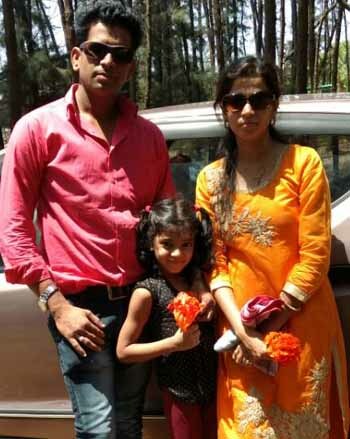 Javid Munde Sahab being a common relative of both of us, and a Franchise of Marriage website Jeevanmeet.com, took iniciative for our Marriage. 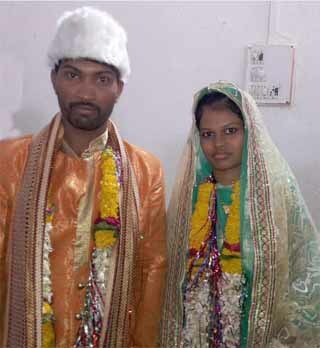 We both will be Thankful to Javid Munde Sahab of Indapur / Pune for getting our Soulmate for Lifetime. We Both Belong to Hindu Maratha Caste from Barshi, Solapur. We Got Married in Barshi itself through Rahul Taware of Barshi, Solapur. Taware Sir has good experience in arranging marraige. Also he owns a franchise of Marriage website Jeevanmeet.com Which Works for Educated Grooms/Boys and Brides/Girls in Maharashtra.